Exhibit A: two weeks ago, Xinhua reported that China National Gold Group Corporation announced it has signed an agreement with Russian gold miner Polyus Gold to deepen ties in gold exploration. The companies will cooperate in mineral resource exploration, technical exchanges and materials supply, the largest gold producer of China said. The agreement between the two gold miners is one of many deals signed between China and Russia in energy, transportation, space, finance and media exchanges during President Xi Jinping’s visit to Russia from May 8 to May 10. « China’s Belt and Road Initiative brings unprecedented opportunities for the gold industry. There is ample room for cooperation with neighboring countries, and we have advantages in technique, facilities, cash, and talents, » said Song Xin, general manager of China National Gold Group Corporation. In light of such developments, it is little wonder there has been increasing chatter in recent months that Russia and China are setting the stage for a gold-backed currency, in preparation for the day the Dollar reserve hegemony finally ends (a hegemony whose demise is accelerating with every incremental physical gold repatriation such as those of Germany, the Netherlands, and now Austria). And now, Exhibit B: overnight Xinhua also reported that a gold sector fund involving countries along the ancient Silk Road has been set up in northwest China’s Xi’an City during an ongoing forum on investment and trade this weekend. (read more about the « New Silk Road » which could change global economics forever here). 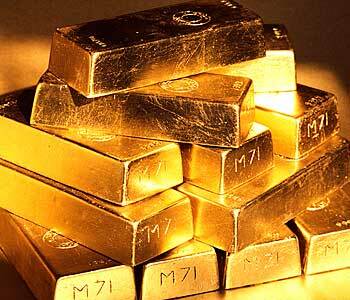 The fund, led by Shanghai Gold Exchange (SGE), is expected to raise an estimated 100 billion yuan (16.1 billion U.S. Dollars) in three phases. The amount of capital allocated to nothing but physical gold purchases (without plans for financial paper intermediation a la western ETFs) will be the largest in the world. The billions of dollars in allocated funding will come from roughly 60 countries that have invested in the fund, which will in turn facilitate gold purchase for the central banks of member states to increase their holdings of the precious metal, according to the SGE. As Xinhua notes, China is the world’s largest gold producer, and also a major importer and consumer of gold. Among the 65 countries along the routes of the Silk Road Economic Belt and the 21st-Century Maritime Silk Road, there are numerous Asian countries identified as important reserve bases and consumers of gold. As a reminder, the reason why China has been aggressively building out and expanding its Shanghai Gold Exchange is precisely that: to shift the global gold trading center away from London (and certainly the US where only paper gold is relevant these days) and to its own native soil: China’s ambition is nothing short of becoming the world’s new gold trading hub. In other to do that, it is already setting up the regional infrastructure to facilitate such a goal: according to Tang, the fund will invest in gold mining in countries along the Silk Road, which will increase exploration in countries such as Afghanistan and Kazakhstan. The good news for China is that with the BIS and virtually all « developed » central banks in desperate need of keeping the price of gold as low as possible while they debase their own paper currencies to unprecedented levels over fears of faith in fiat evaporating, China’s gold fund will be able to procure gold for its members at a very reasonable price until such time as the lack of physical gold supply can no longer be swept away by mere paper shorting of the yellow metal.